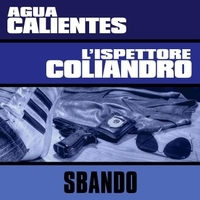 In a dub/trip-hop soundscape, Agua Calientes meet literary and tv character Inspector Coliandro, in a 21st century "poliziottesco" cinematic moment! 4 different versions including a remix by The Snares. In a dub/trip-hop soundscape, Agua Calientes meet literary and tv character Inspector Coliandro, in a 21st century "poliziottesco" cinematic moment! Produced by Alberto Benati and Agua Calientes in collaboration with Dj Batman: Coliandro (played by Giampaolo Morelli) materializes through samples licensed by RAI (Italian national TV) and his spoken bits are mixed with an urban track directly which is a tribute to his series and adventures. 4 different versions including a remix by house/dance producers The Snares.